Hi all! 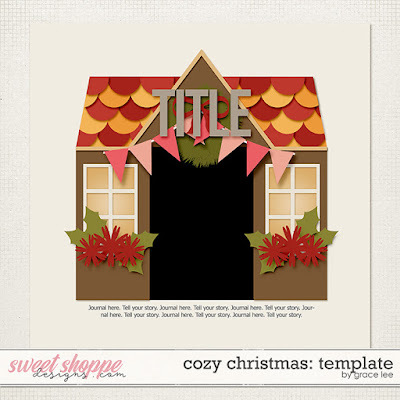 Today I have a free template for you to play with! It coordinates with my new scoop with Studio Flergs, "Cozy Christmas." The template comes in .PSD, .TIF, .PNG and .PAGE formats. Can't wait to see what you do with it! Link me up to your finished layout in the comments! What a neat idea! Thank you! Thank you - so cute!! Very neat template. Thank you! Love this template! Perfect for the holidays! Thank you Grace! Thanks so much! How cute!!! This is darling! Thank you so much and I wish you a very happy and creatieve 2017!